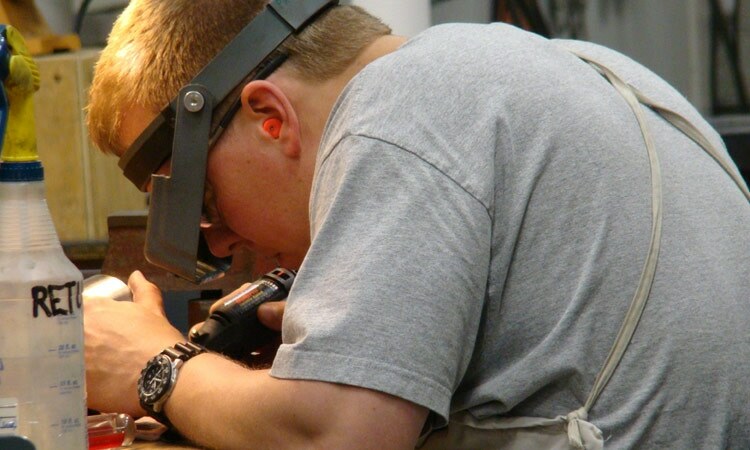 CNC Milling Services | CNC Machining | KLH Industries Inc.
KLH has the tools, technology, and training to CNC mill any project from start to finish. 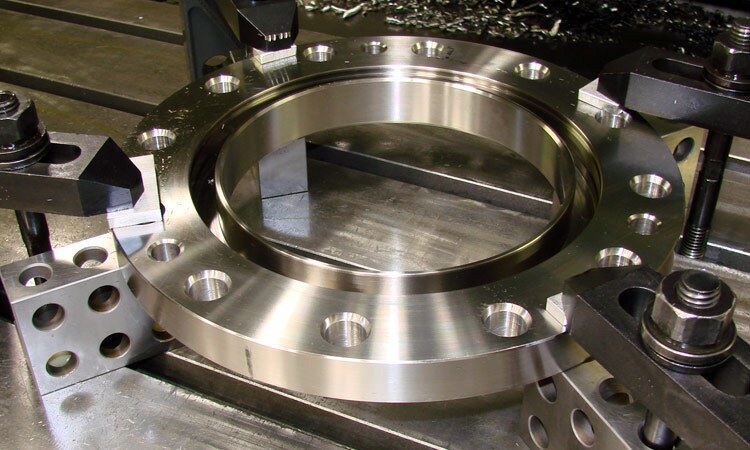 Whether precision gage, fixture, stamping die, mold, prototype or production run, this is where KLH’s CNC milling services excel. With an impressive variety of exotic material experience, KLH often tackles the newest R&D projects other job shops no bid. 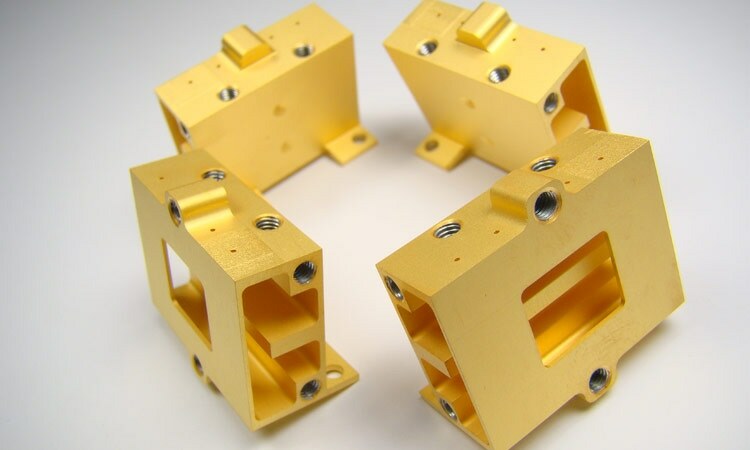 KLH has CNC machined parts that are under the ocean, above the atmosphere, and everywhere in between. Typical tolerance, but can vary due to size & type of material. Project management experience for die or mold sets, from start to completion. Multiple CNC machines running over multiple shifts. 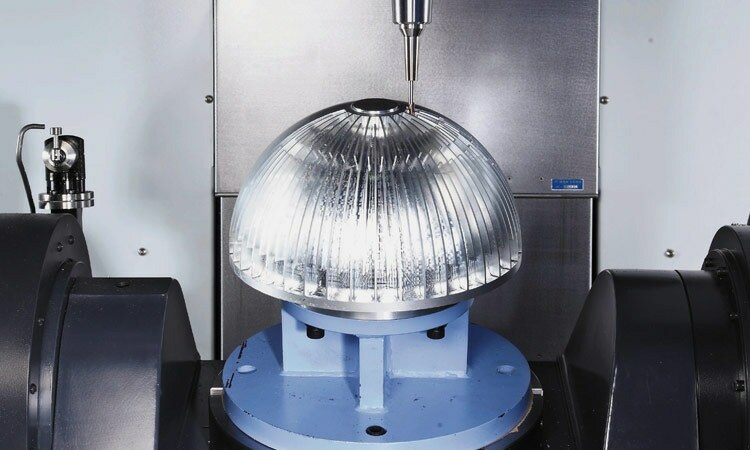 True 5-axis milling, featuring a 360-degree C-axis rotary table with 150-degree trunnion. Thread or mill any metals, including stainless steel, aluminum, and more. 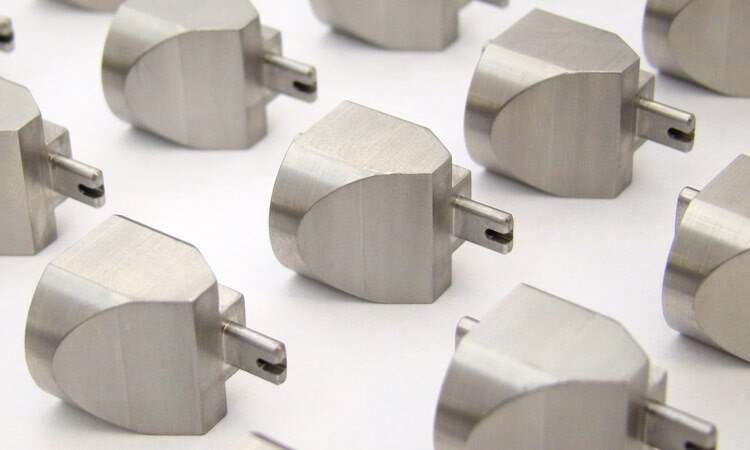 With the right speed & feed, KLH can CNC mill an 8 RMS surface finish. 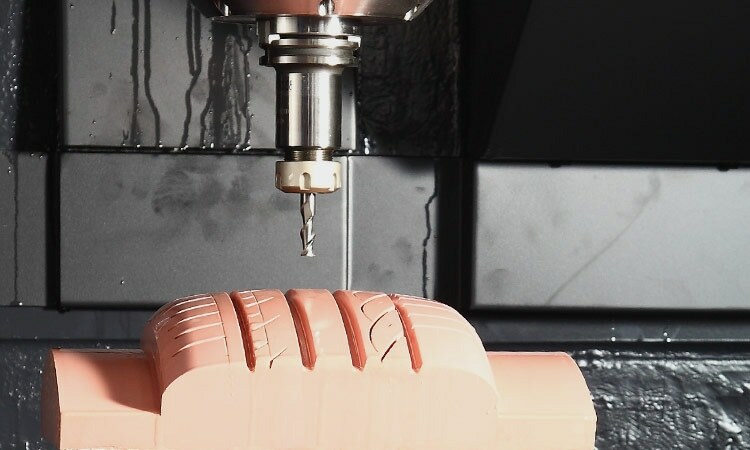 With various tooling and ingenuity, CNC milling is capable of producing almost any shape. The wide range of potential milling applications also makes CNC machining the most variable service KLH offers. 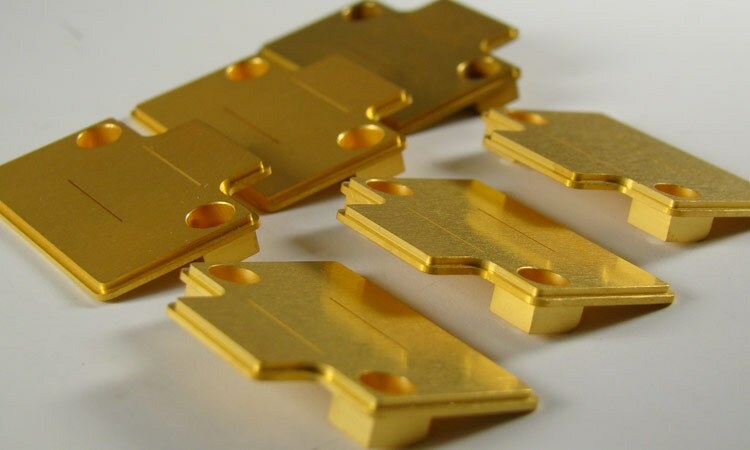 Tolerance, surface finish, part size, tooling, and material properties can all directly affect pricing. 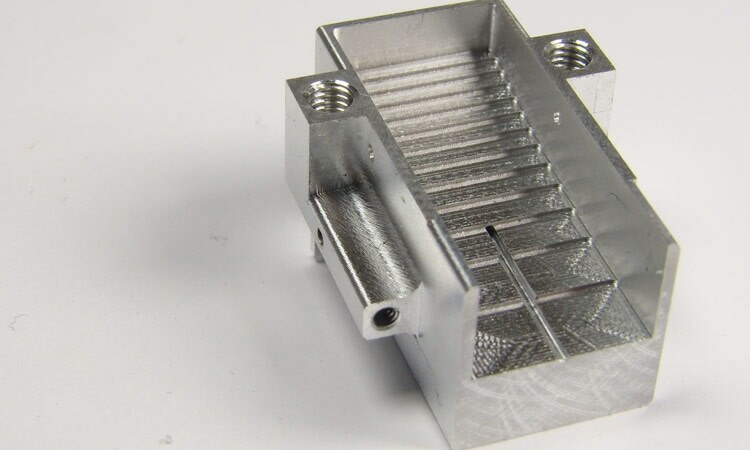 Whether a part is suited for 3-, 4-, or 5-axis milling depends greatly upon the dimensions and features of the part itself. 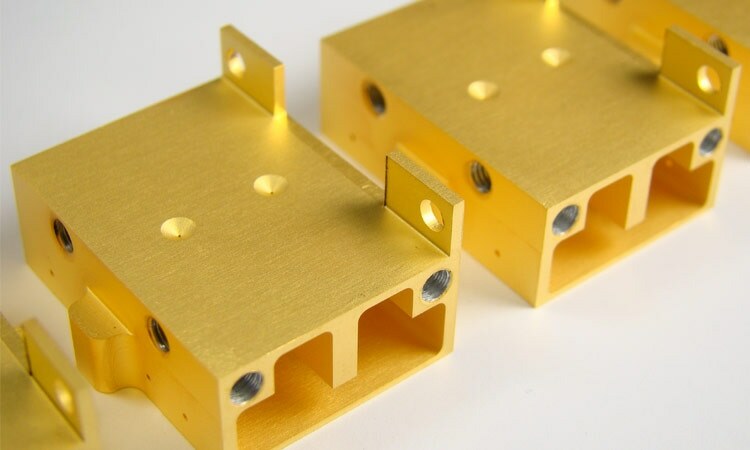 In general, fewer setups are needed for milling machines with more axis. Completing as much geometry as possible in a single setup ensures greater feature-to-feature accuracy, as the machine’s zero remains the same. Multiple-axis machinery requires complex, skillful, and meticulous programming. 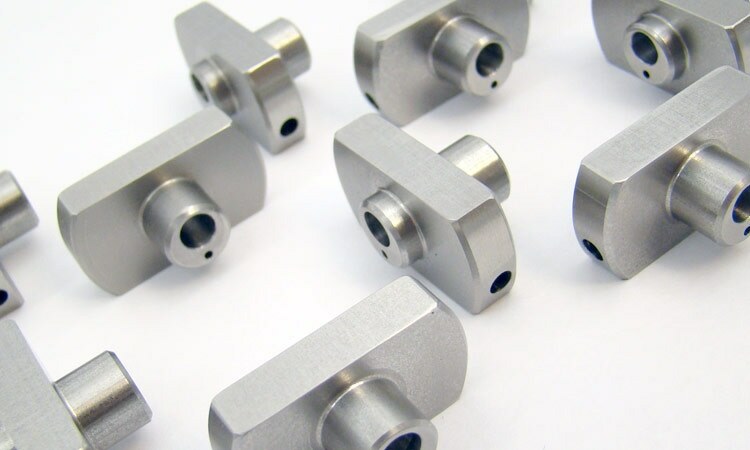 Providing a 3D CAD file can generally reduce time spent quoting or programming CNC milling code. 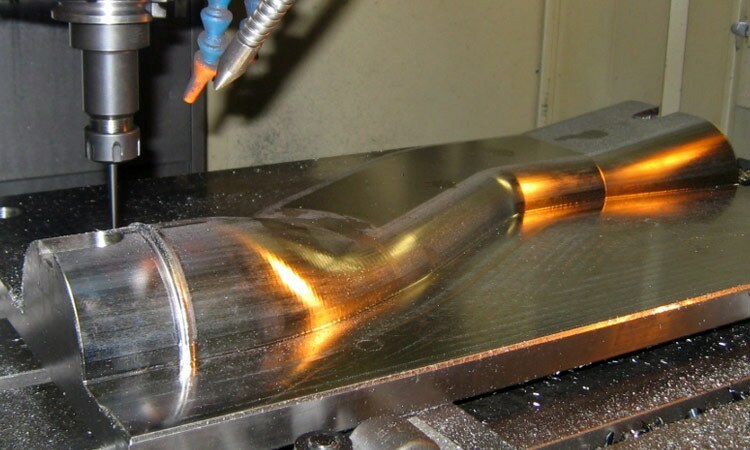 CNC milling is the process of rotating a cutting tool in a spindled axis to produce a shape or form. 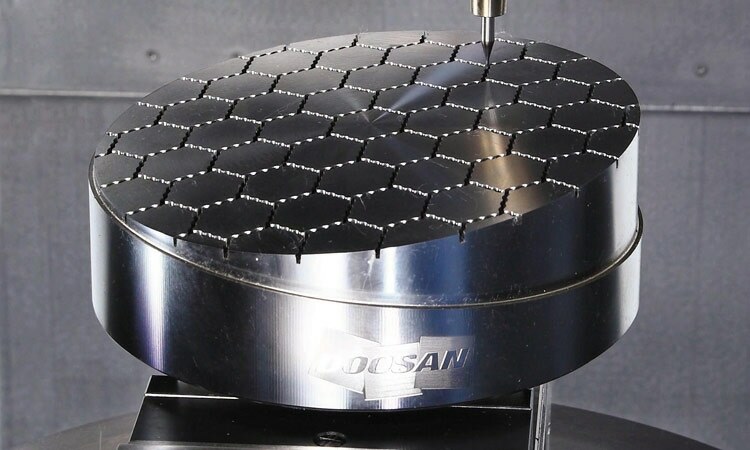 The cutting tool is controlled by a specialized computer, which greatly increases reliability and repeatability, while reducing the potential for human error. 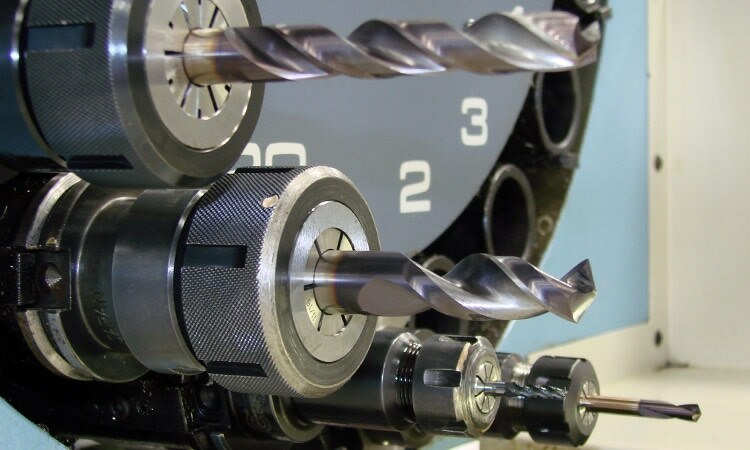 Most milling machines are equipped with tool changers, which allow the machine to automatically switch between a variety of cutting tools. 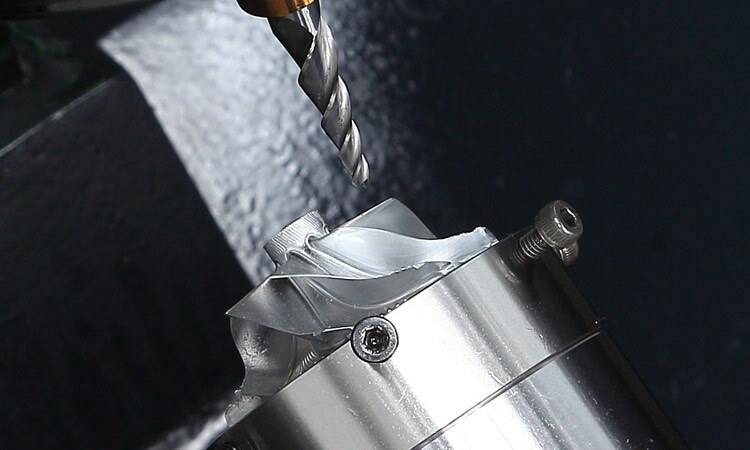 Because of this, CNC milling is often referred to interchangeably as CNC machining, because both encompass a variety of operations that can be done within a CNC machining center. 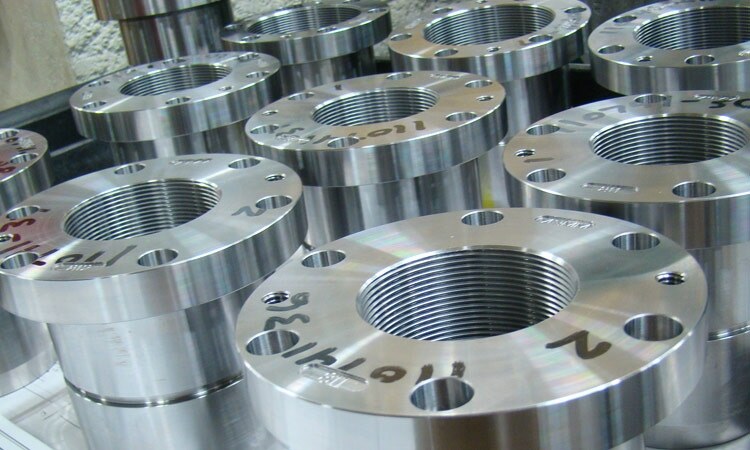 At KLH, CNC milling also encompasses drilling, reaming, threading, tapping, and other operations, as they can be completed in the same setup. What CAD/CAM software can you use? Which file extensions do you prefer? KLH will work with or convert just about anything, but some of our favorites are: .DWG, .DXF, .IGS, .X_T, .X_B, .XMT_TXT, .SLDDRW, .SLDPRT, .SLDASM, .STP, & .STEP. Does it matter if I supply a 3D file or a hard copy print? Both! 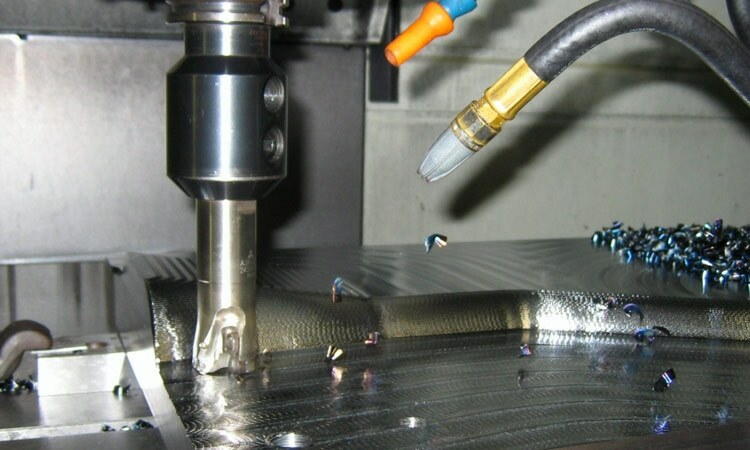 Machine paths (G-Codes) can be created and simulated directly from the 3D model, which can speed up both the quoting and programming process. The dimensions and datums called out on the print are the customer’s opportunity to spell out their desired form, fit, and function of the part. The print requirements will always take precedence over the 3D model, unless directed differently. 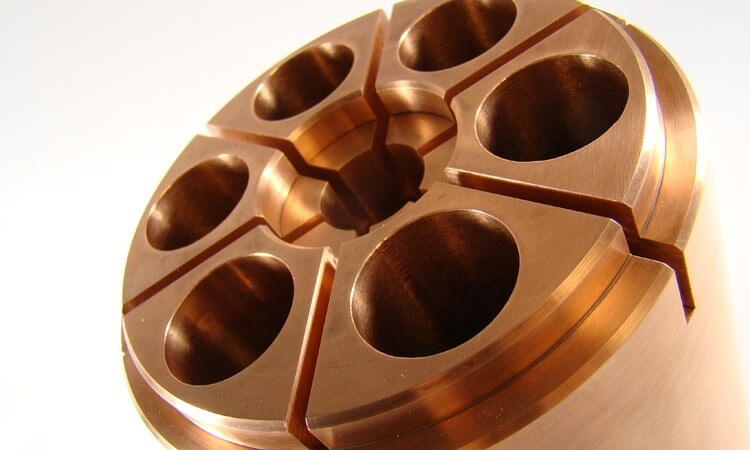 What is the difference between 5-axis machining and 3+2 machining? 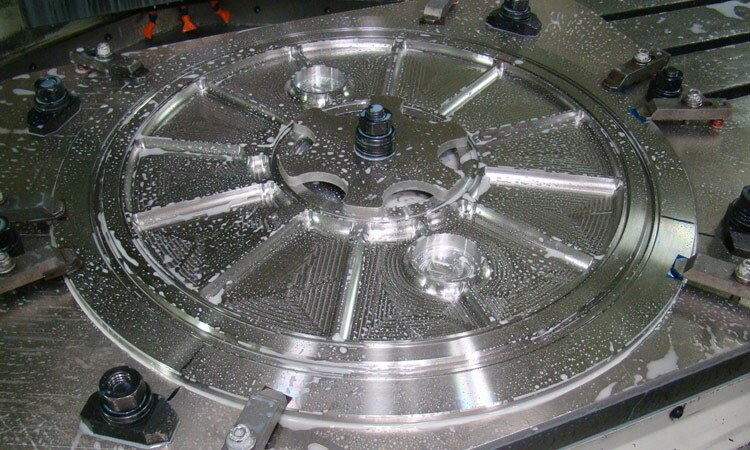 True five-axis machining is sometimes referred to as "simultaneous" because all five axes must move together to machine geometry like arcs or curves. 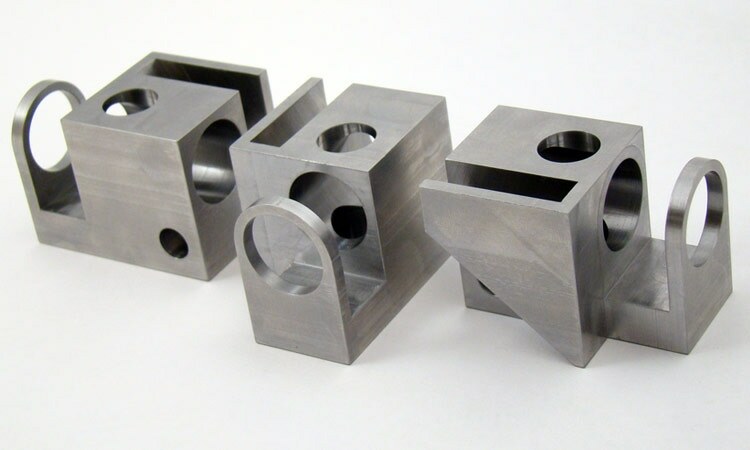 In 3+2 machining, the fourth and fifth axes are used to locate the work piece (or cutting tool, depending on the type of machine) in a fixed position, then machining takes place along the three linear axes. 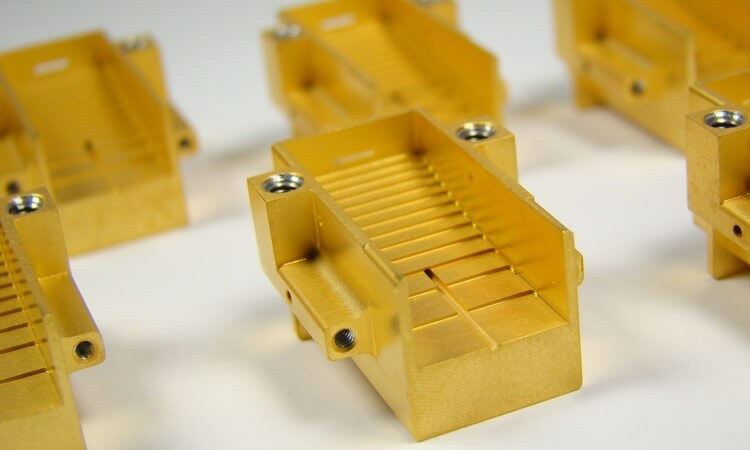 Does KLH offer hard milling? Yes. KLH has experience producing precision tolerances on hardened steels. 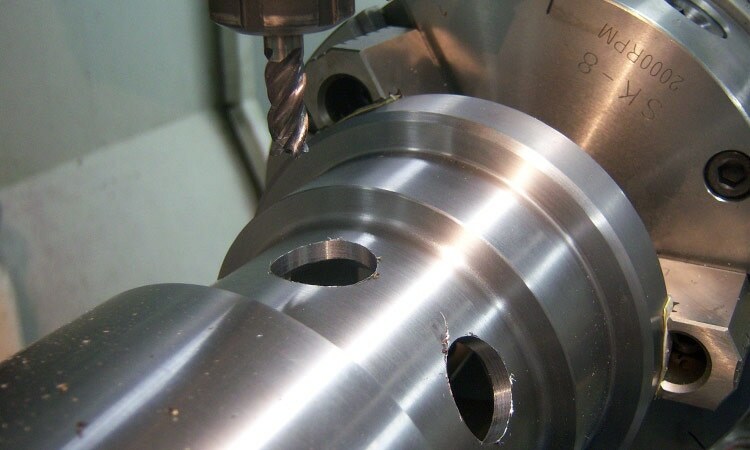 KLH also offers hard turning services.